Hello … Hello … my old friends … It’s great to see you once again! 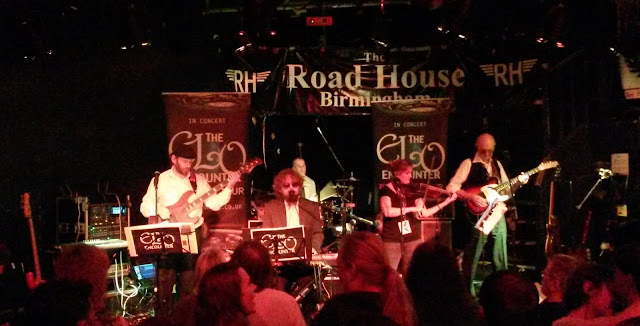 The ELO Encounter made their long awaited bow in Birmingham last night (Saturday 11th March) at The Roadhouse – just a few short miles from Shard End – and proceeded to deliver a stunning performance of ELO classics which had the packed house of Brummies singing in unison (and approval) with Yours Truly KJS also purring in admiration. 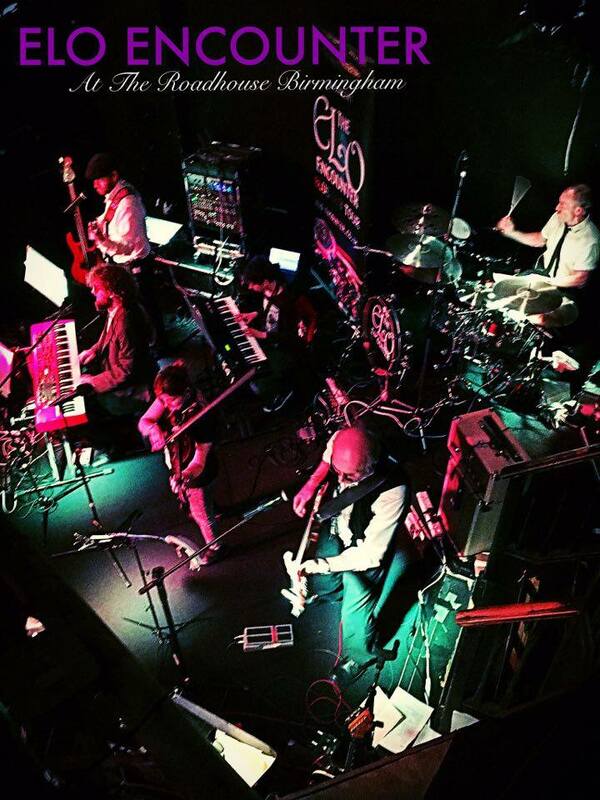 The ELO Encounter are very much a family affair, based in Essex and headed up by Simon Rownes, who hails from Codsall just a mile or so from elobeatlesforever (elobf) HQ and features sons Jack, Henry and Max alongside Martin Donald, Jasmine Ali and Simon Dove. 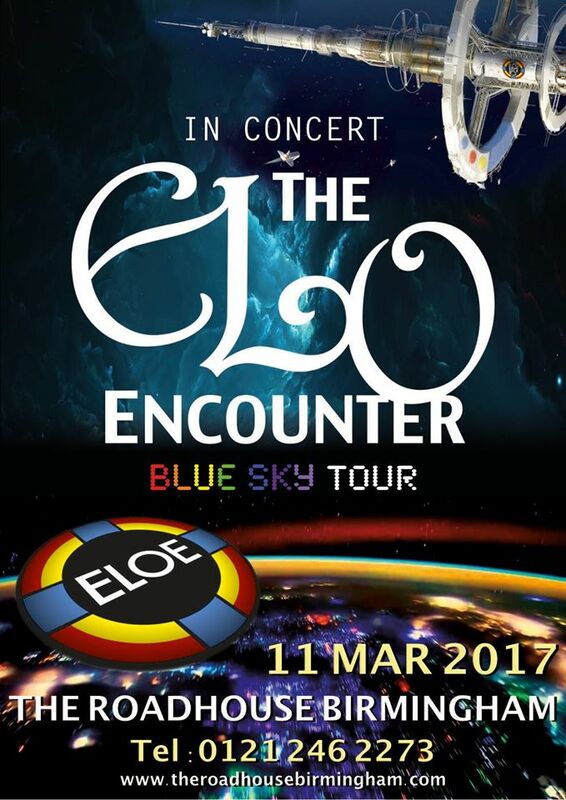 I’ve been privy to seeing not a few ELO tribute bands down the years but in all honesty, my first encounter with The ELO Encounter left me mightily impressed. The set list was inventive with traditional encores “Don’t Bring Me Down” and “Roll Over Beethoven” played much earlier and a clever double dose of “Mr. 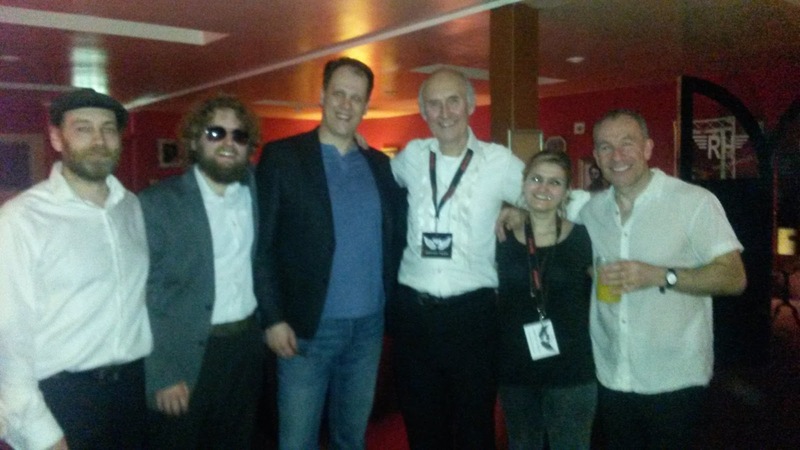 Blue Sky”, one foreshortened and the other a rousing finale. Twenty nine (29) songs were played including “Great Balls Of Fire”(evoking memories of ELO‘s “Do It With The Light On” campaign) and “Nightrider” (a song I’ve not heard live for ages). The absolute highlight of the evening for me (and there were many others including violinist Jasmine Ali singing “Xanadu”) had to be hearing “Here Is The News” live for the first “Time”. This band works both in visual and audio terms. They switched between ballad, rocker and tempo with ease whilst retaining their own character. Helped by an impressive PA set up and the ace acoustics in the venue, The ELO Encounter did much justice to the ELO sound and arrangements as imagined by Jeff Lynne. In particular, the vocals and keyboard skills of Jack Rownes ensured a lovely tone with bassist, guitarist, percussionist and violinist all combining to deliver a show that left me “Blown Away”. Very much looking forward to encountering ELOE again soon! Last but not least, a mention for Black Country based support act Doctor Greenwood who were rather good too (despite a broken bass string during their set), especially with their take on “With A Little Help From My Friends”.